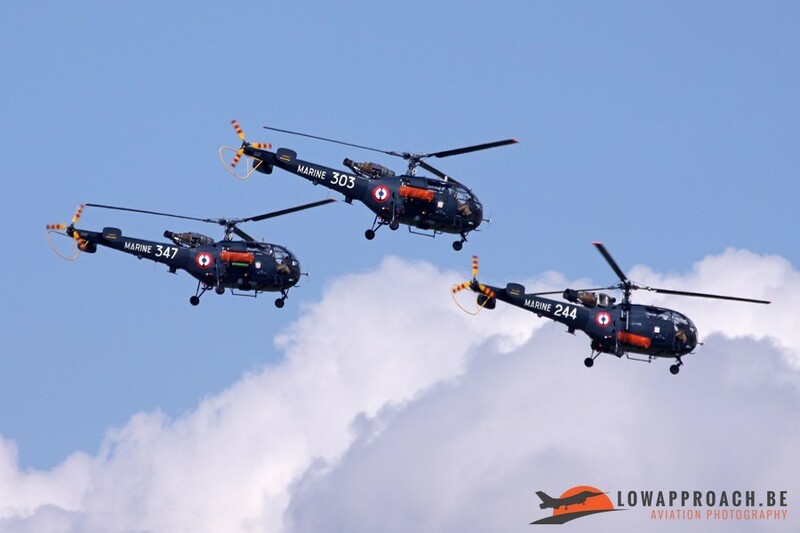 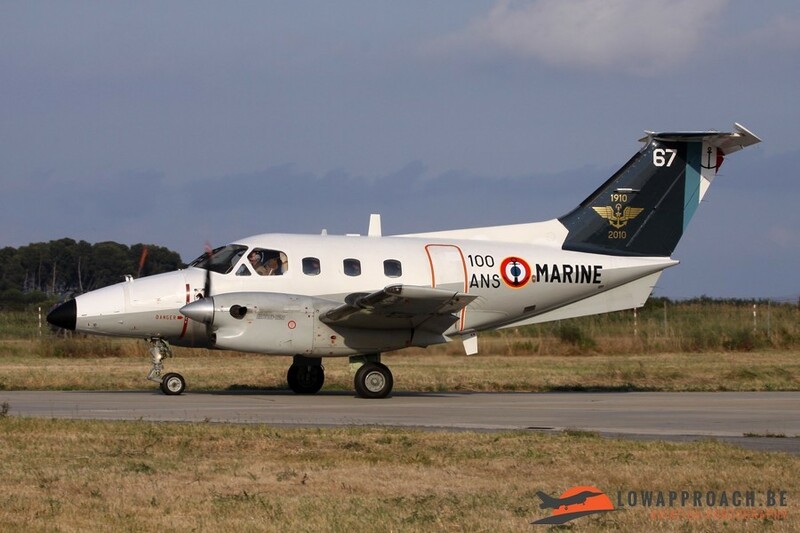 In 2010 the French Naval Aviation, the Aéronautique Navale, celebrated its 100th Anniversary. 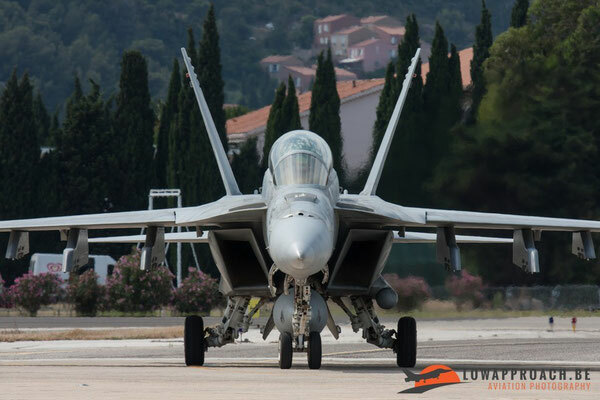 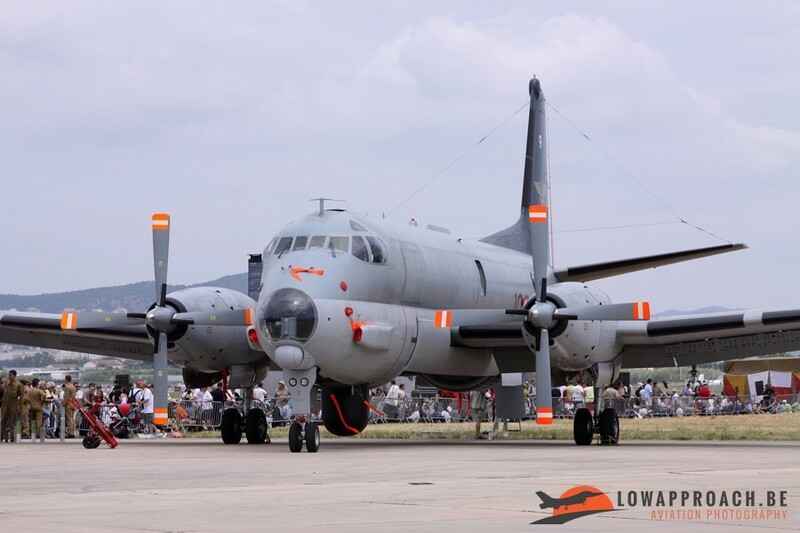 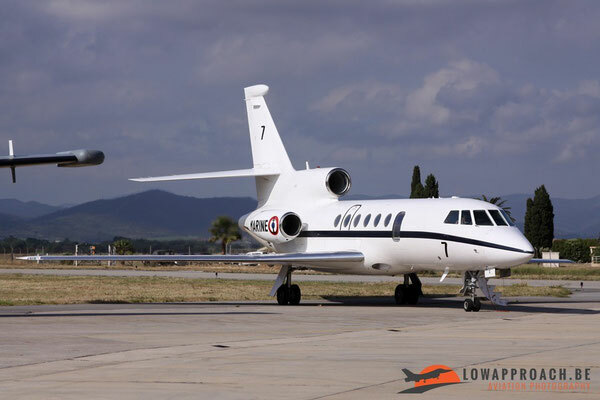 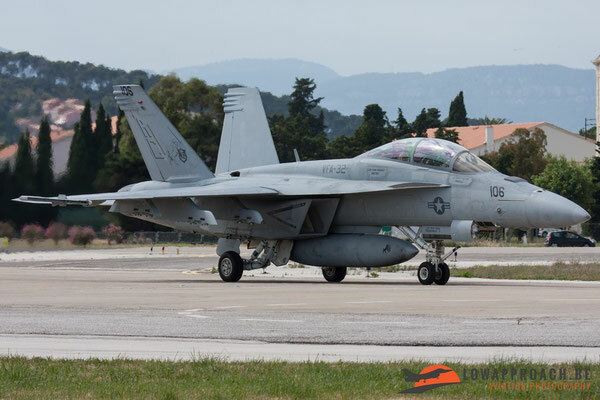 Largest event was an airshow organized at the Base Aéronautique Navale Hyères-La Palyvestre near Toulon on the Mediterranean Coast. 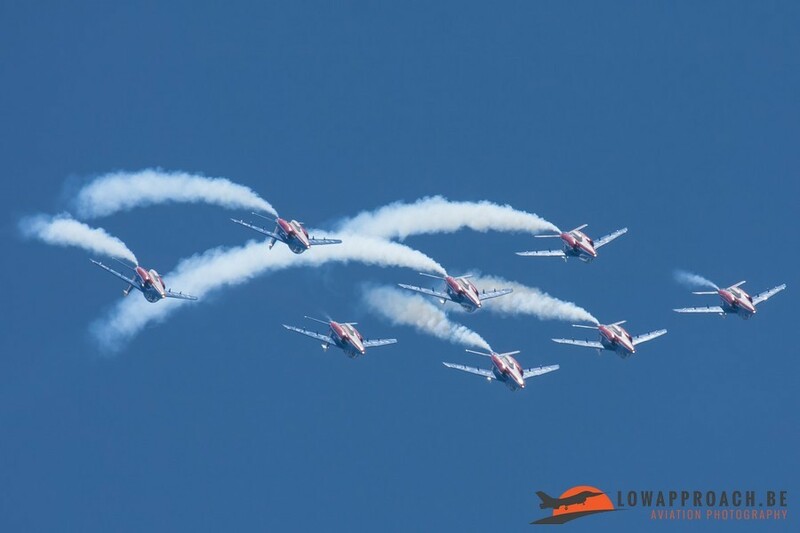 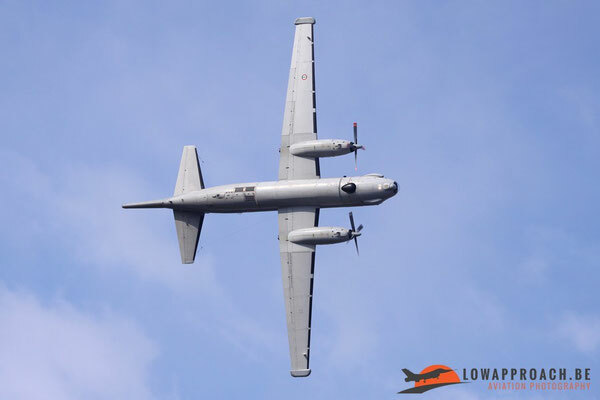 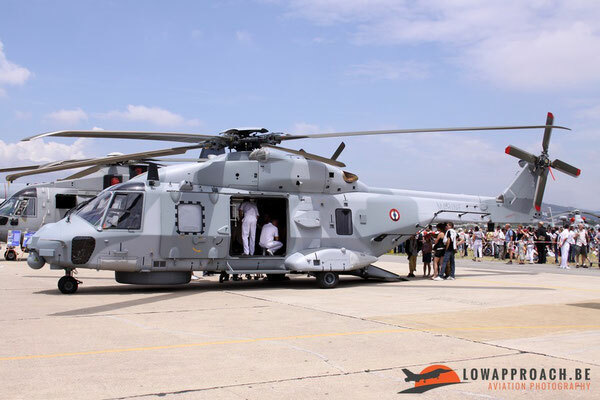 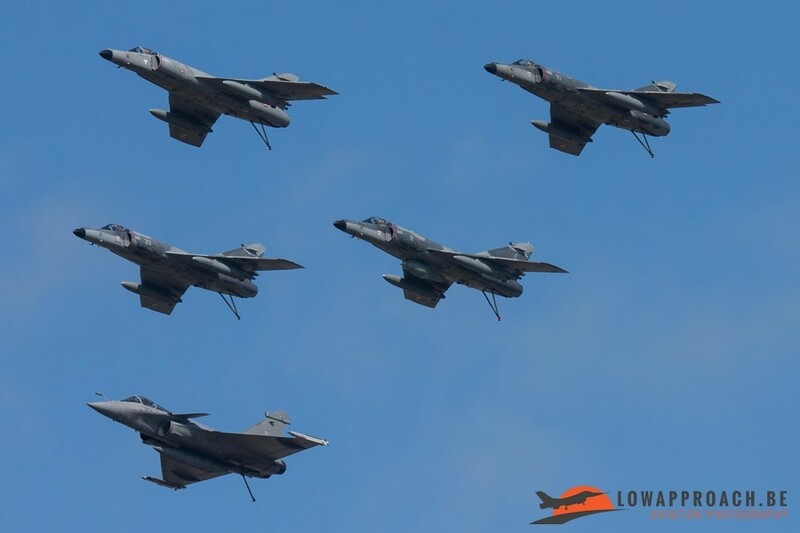 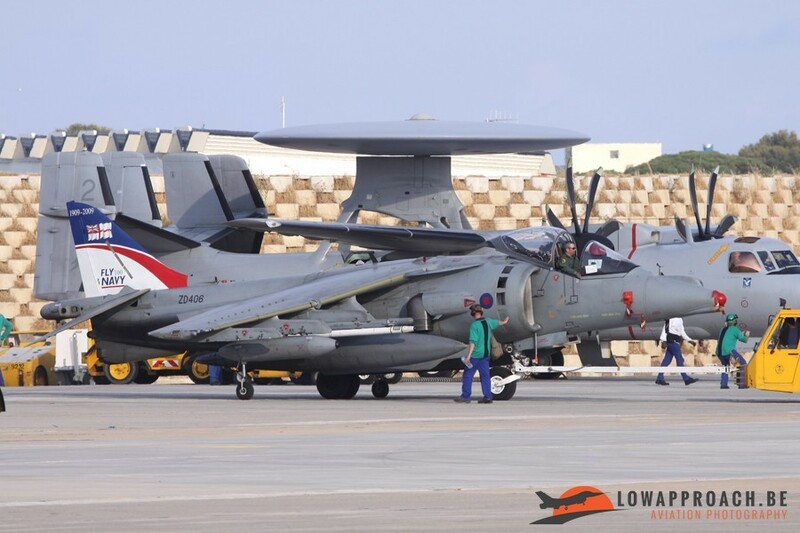 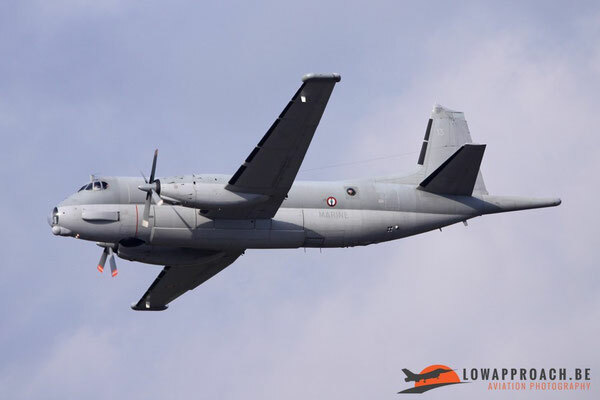 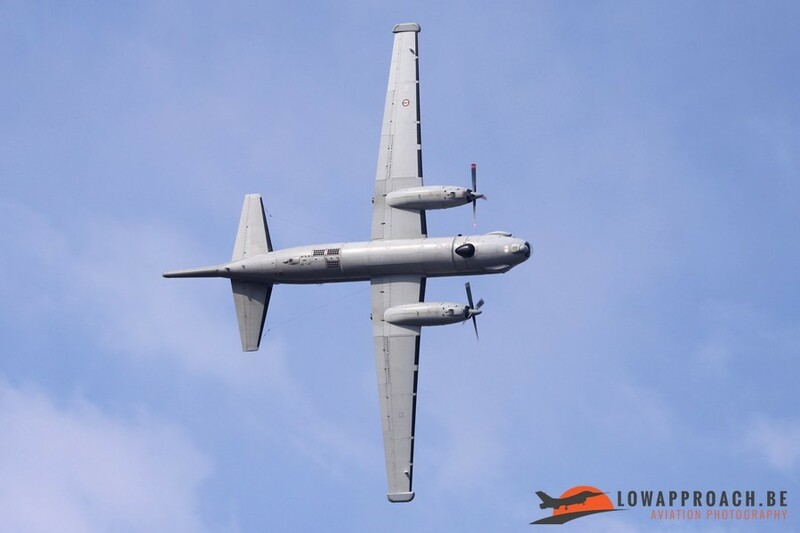 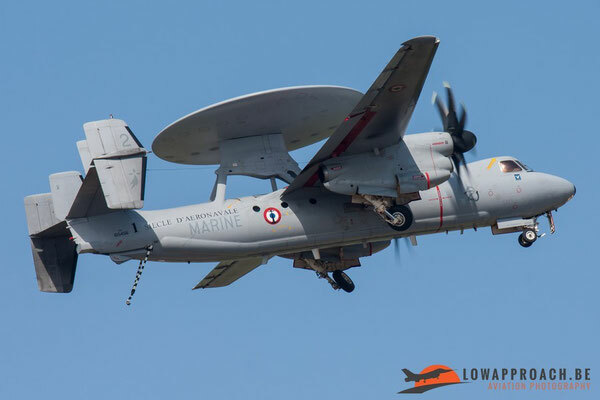 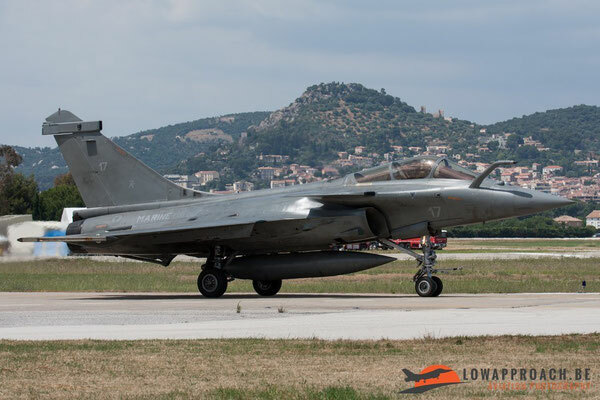 The vicinity of the sea played an important during the airshow as the French Navy had invited aircraft from several countries who have their own Naval Aviation Force. 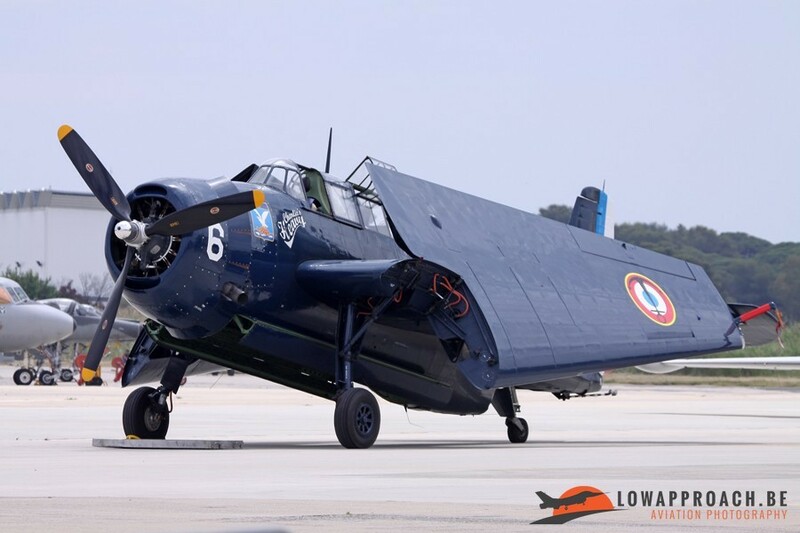 And off course these aircraft arrived in style on board of their own carriers which were anchored before the coast of Hyères. 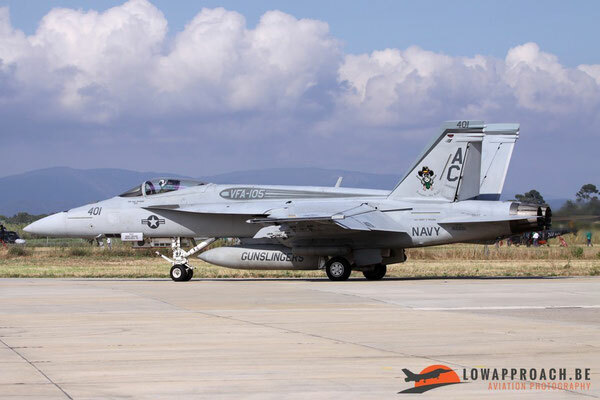 The following carriers were present during the weekend, USS Harry S.Truman (US Navy), Principe de Asturias (Spanish Navy), Guiseppi Garibaldi (Italian Navy) and off course the French carrier, the Charles de Gaulle. 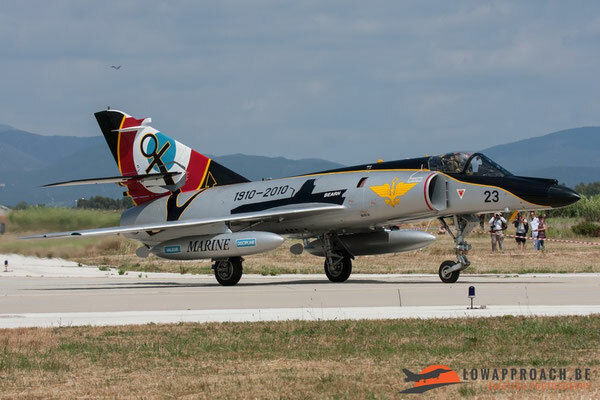 The airshow on Sunday was preceded by a spottersday on Saturday which was attended by Dirk, I was only able to attend the main event on the Sunday alone. 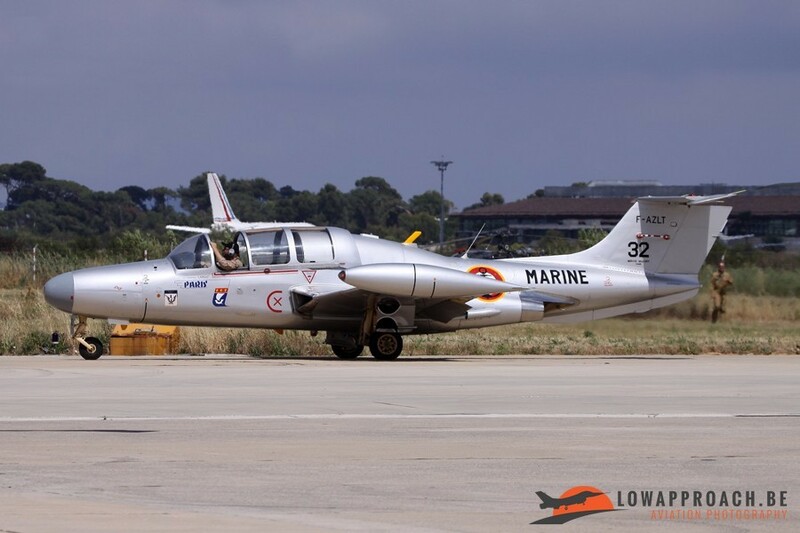 The flying activities started with an historic overview of aircraft that once served the Aéronavale, starting with a Blériot XI-2 and followed by a Grumman TBM3R Avenger, Morane-Saulnier MS760A Paris and the only airworthy Fouga CM175 Zephyr, the carrier version of the Fouga CM170 Magister. 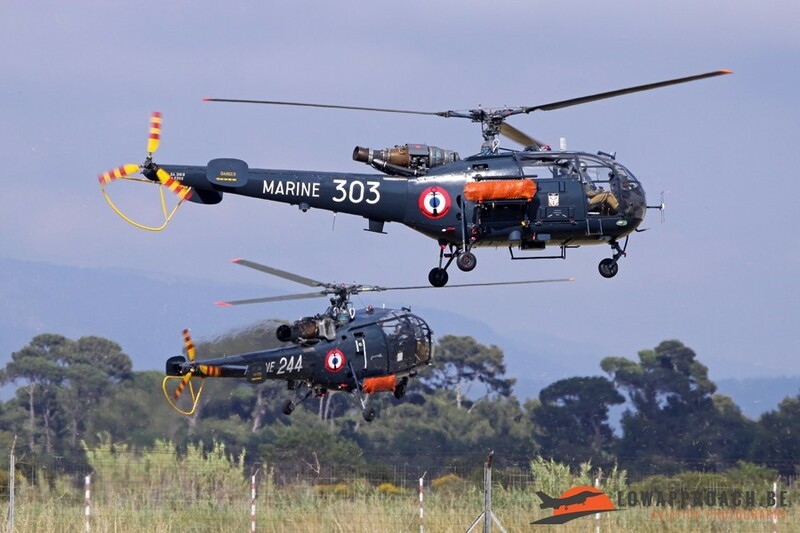 In the static a rare wheeled version the Sud Aviation Alouette II was present. 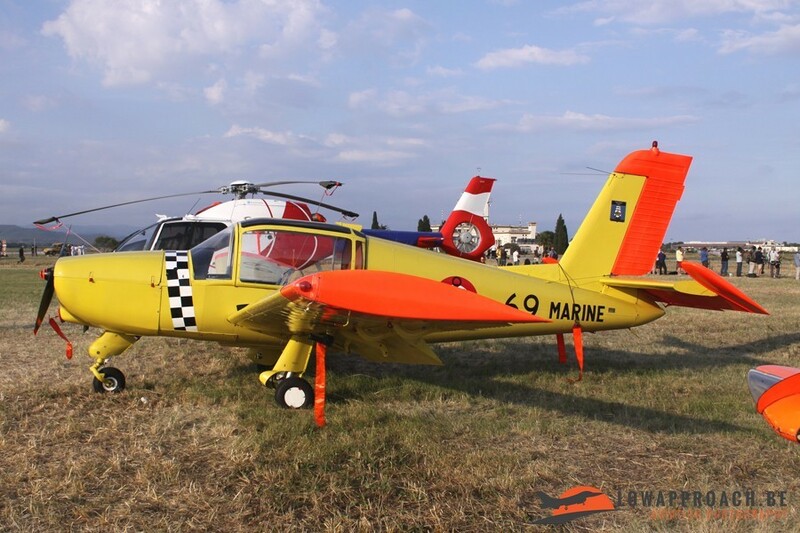 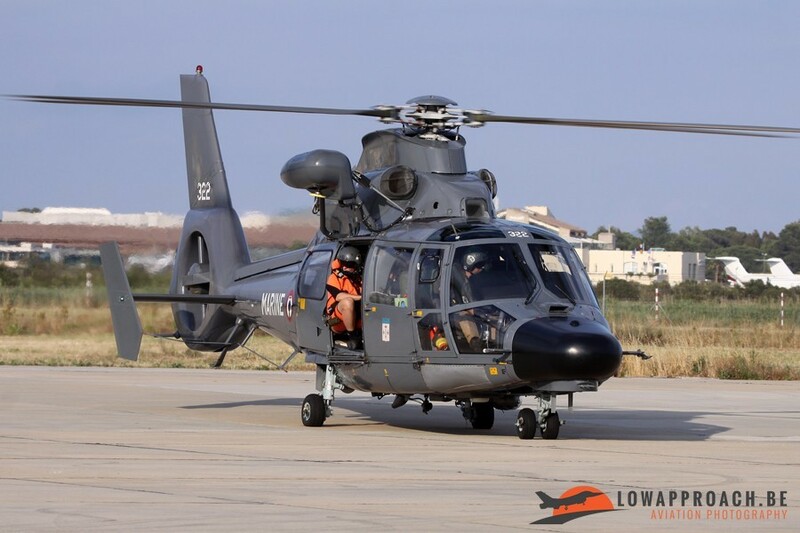 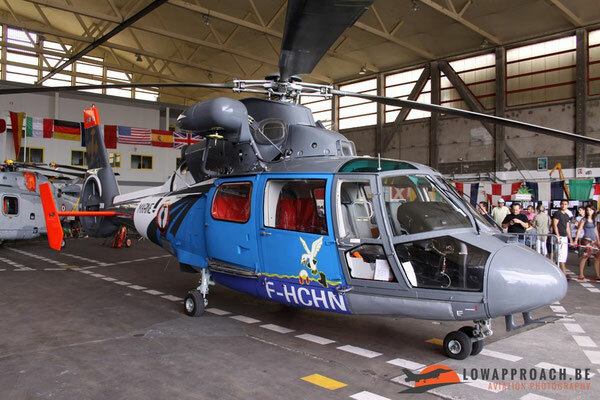 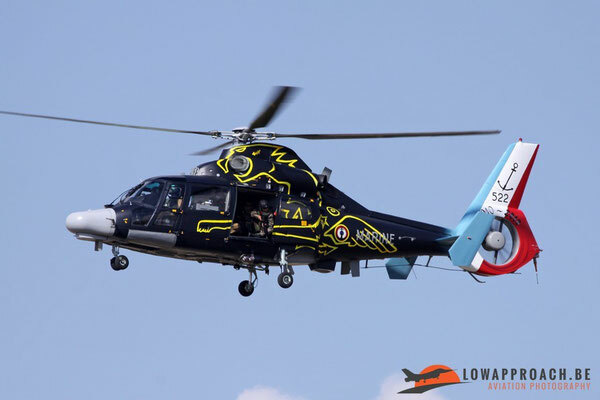 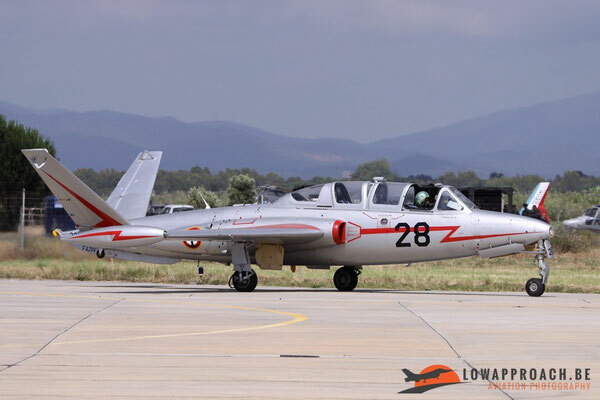 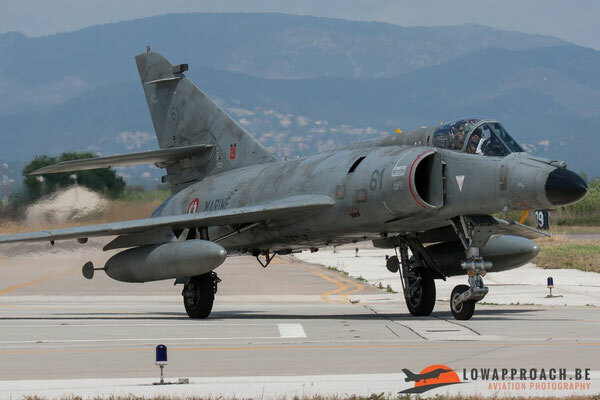 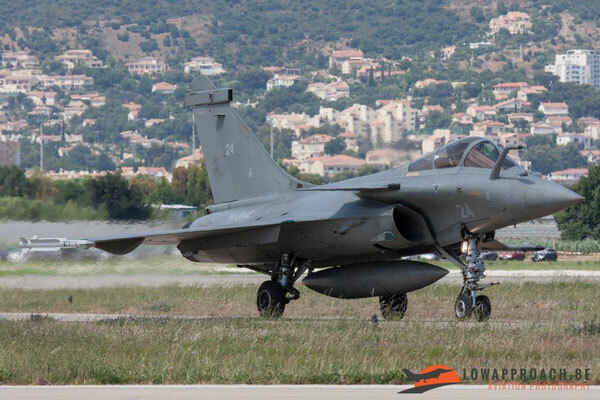 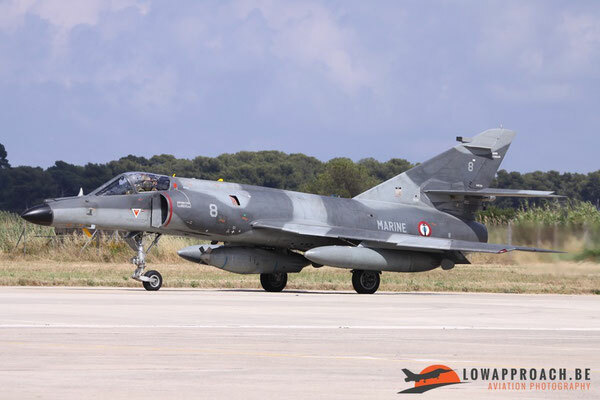 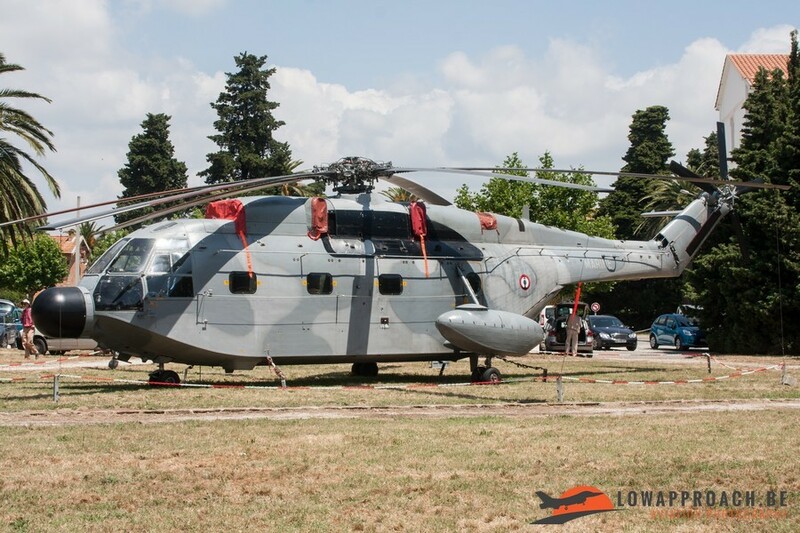 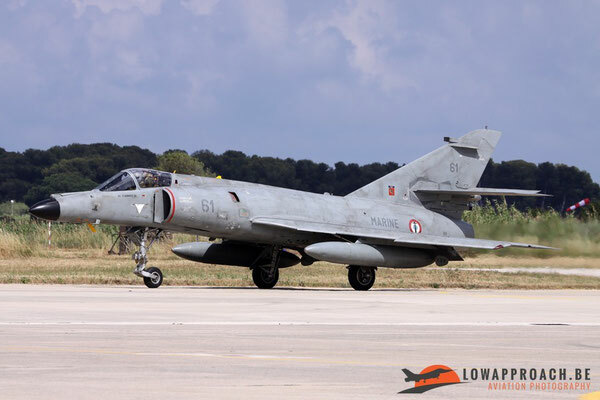 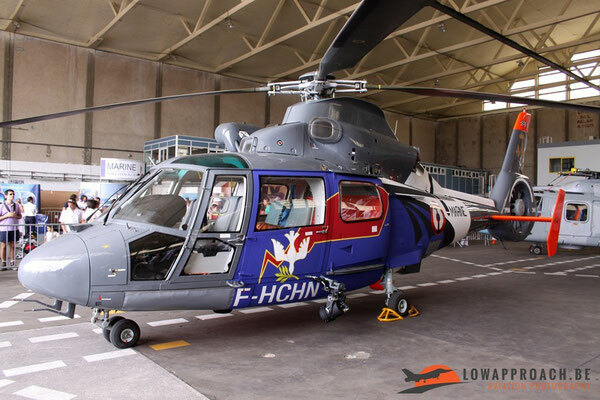 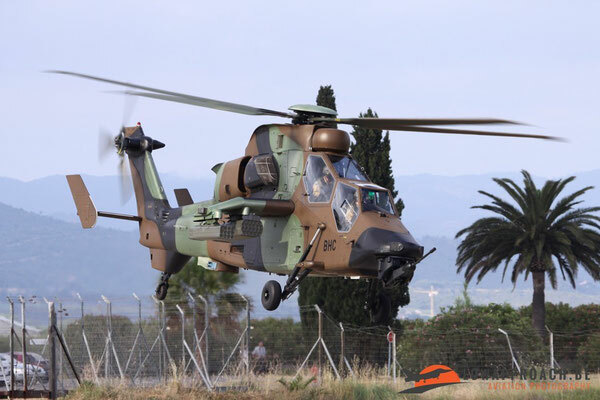 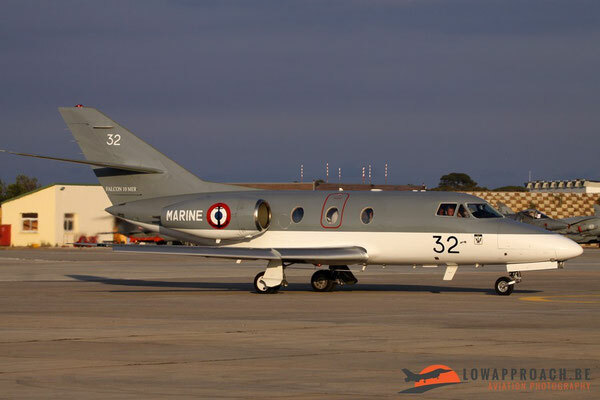 A recently retired Aérospatiale SA321 Super Frelon was noted as a new gate-guard at Hyères. 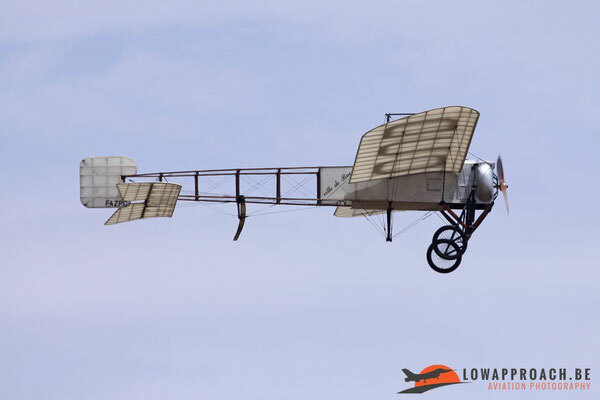 The bulk of airshow was filled with aircraft from the Aéronavale itself. 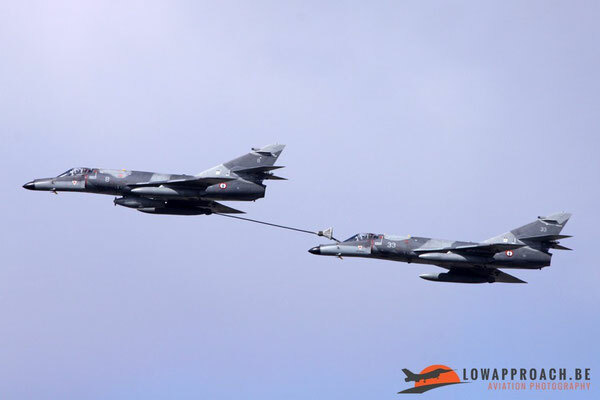 Examples of all aircraft in service were present either in the air or in the static. 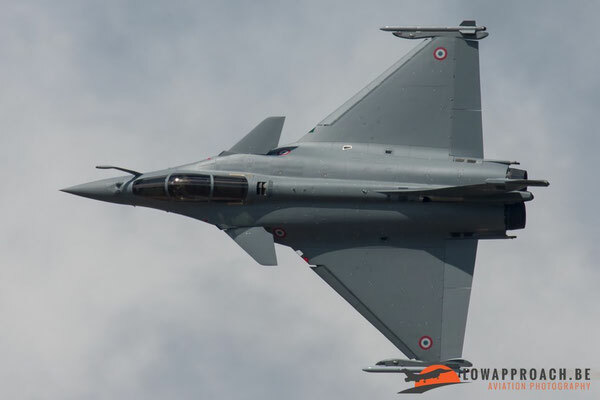 Most numerous aircraft that could be seen was the Dassault Rafale M, which could be admired during formation flights and a solo display. 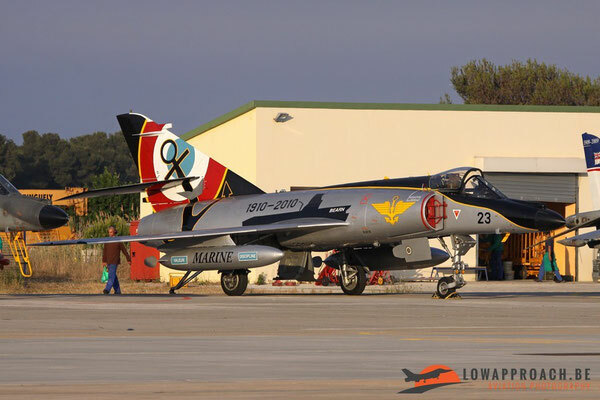 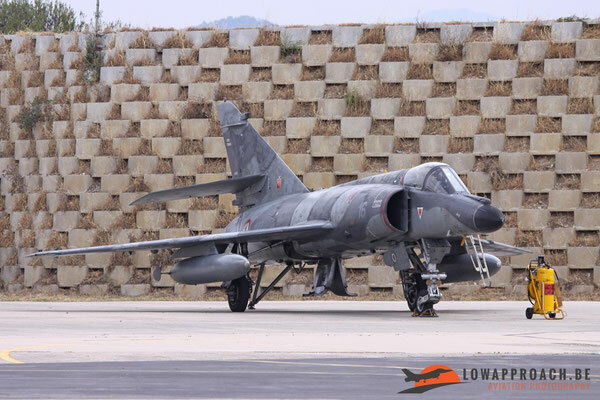 The next frontline aircraft that was multi-present at Hyères was the Dassault Super Etendard NG. 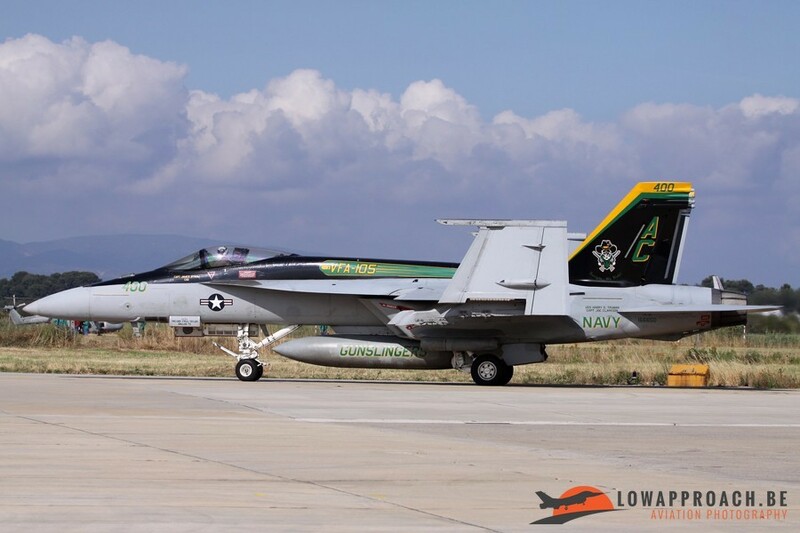 One of the aircraft was painted in a special colorscheme to add to the birthday celebrations. 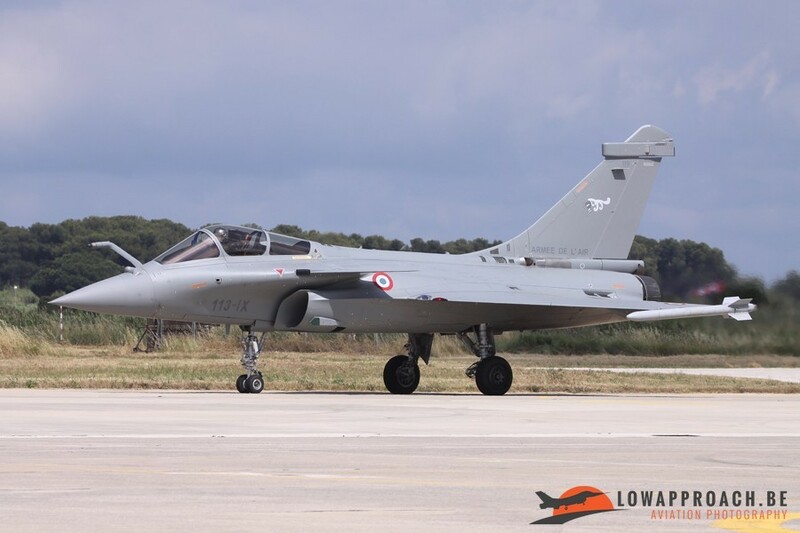 These aircraft also flew several mixed formations with the Rafale, and demonstrated their air-to-air refueling capabilties. Other Aéronavale aircraft that attended the event were the Grumman E2C Hawkeye, Dassault Falcon 10MER, Dassault Falcon 50SURMAR, all aircraft which are used in the maritime observation or anti-submarine role, followed by a contingent of training aircraft like the Embraer Emb121ANG Xingu, Mudry Cap10 and the Morane-Saulnier MS893-100. 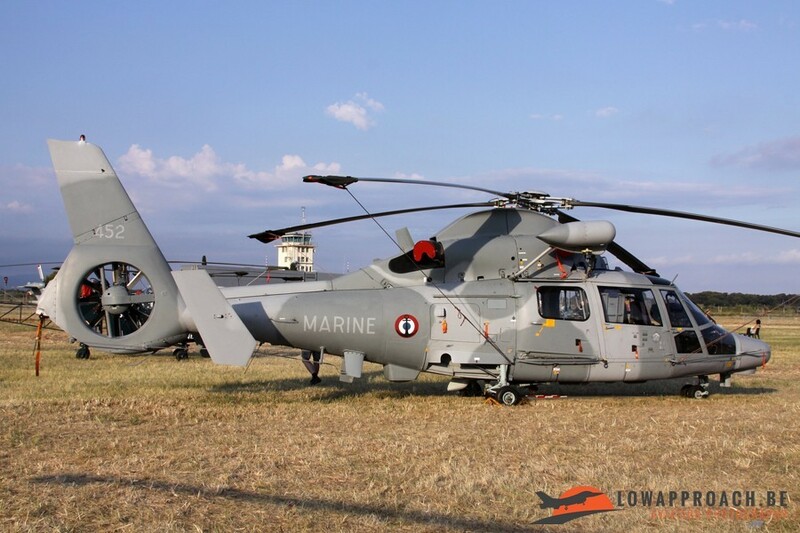 The French Navy is also a large user of helicopters and again all types in service were present. 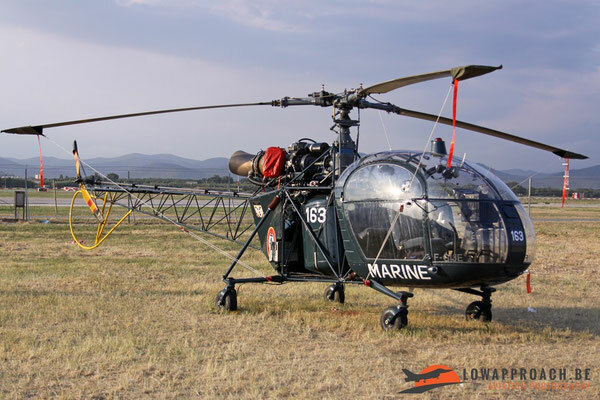 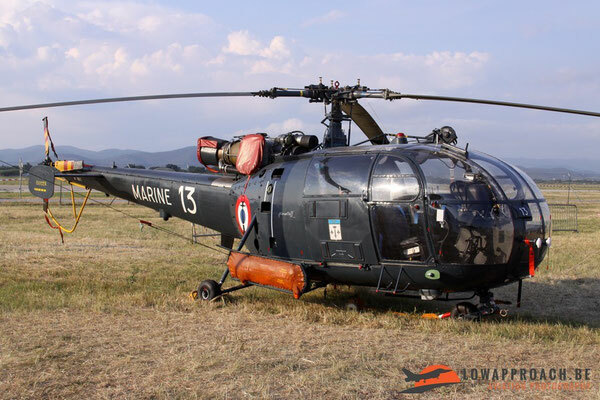 Oldest in the inventory is the Sud Aviation Alouette III. The Alouette IIIs did a number of formation fly-bys which brought back some memories from my early spotterdays.... More modern helicopters currently in use are the Westland Lynx, the Aérospatiale AS365N2 Dauphin 2 (with a special decoration), Aérospatiale SA365F1 Dauphin and the Aérospatiale AS565SA Panther. 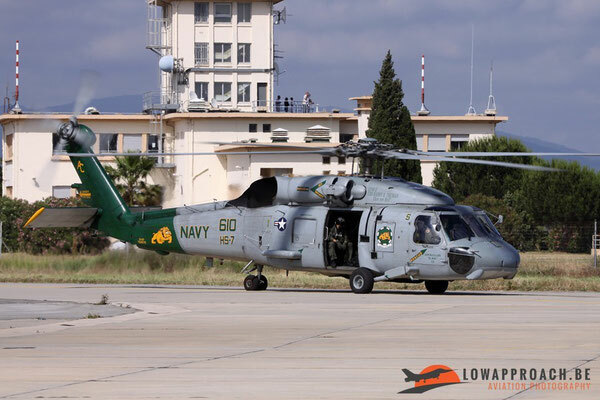 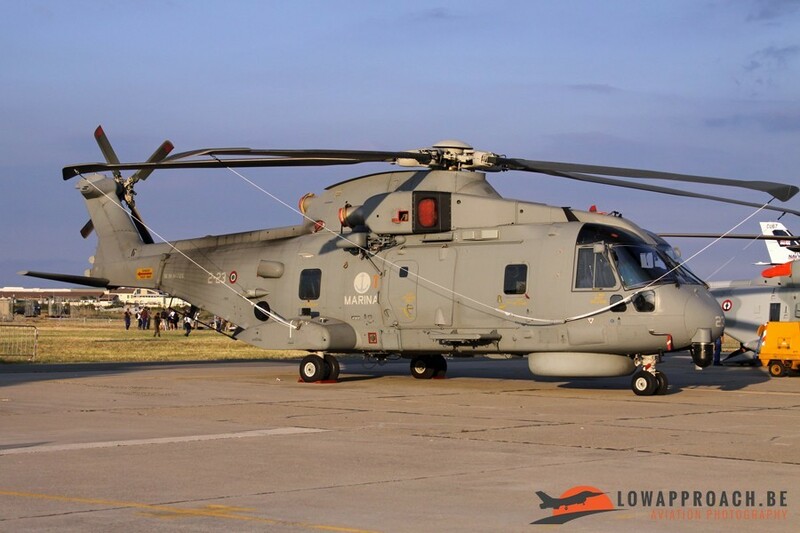 Newest helicopter present was the brand-new NH Industries NH90NFH Cayman. 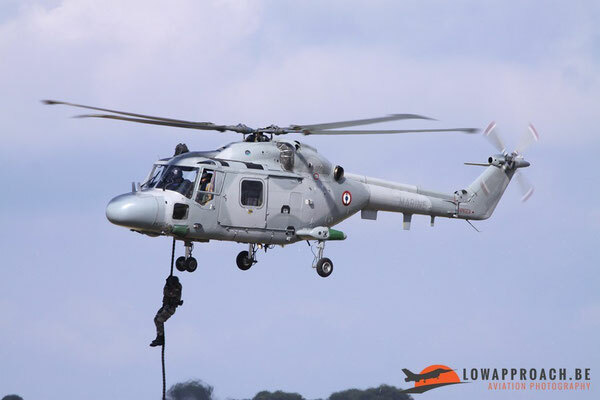 As already mentioned in the introduction other Navy's were also present with their frontline aircraft and helicopters. 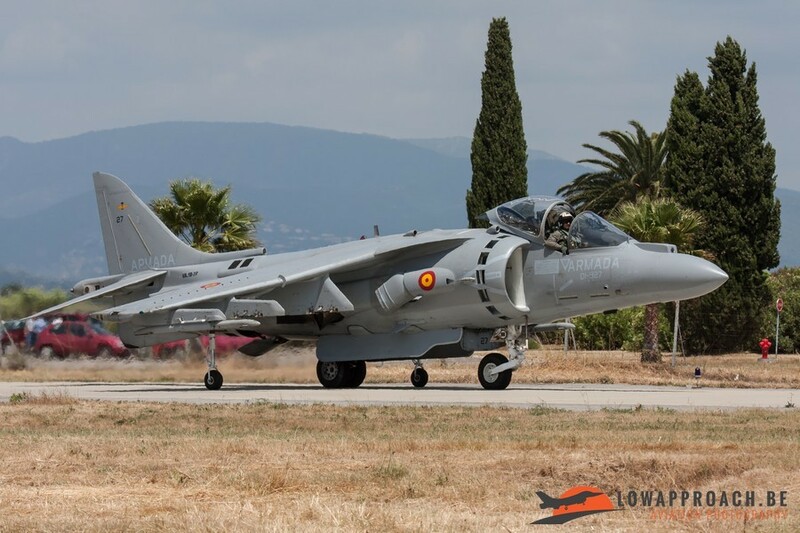 Hyères look a bit 'Harrier' territory as three countries, Italy, Spain and the United Kingdom, attended the event with their version of this Vertical/Short Take-Off fighter aircraft. The Spanish example even performed a much-liked solo display. The United Kingdom attended with a Royal Air Force example, this was for me the last time that I saw a UK Harrier in operational circumstances, as it was hastily withdrawn from service a few months later, a fact that was not yet known at the time. Biggest foreign contributor to the show was the US Navy who attended with a large contingent of aircraft from the USS Harry S. Truman. 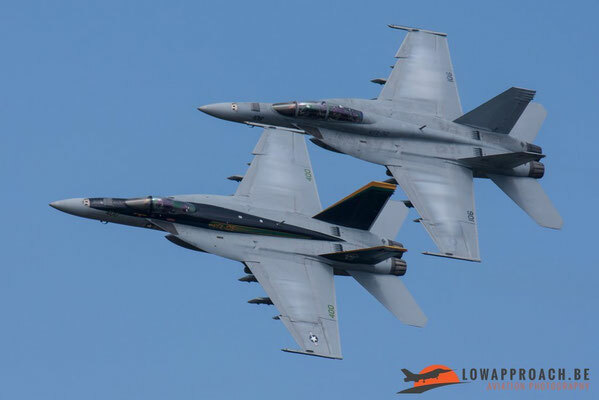 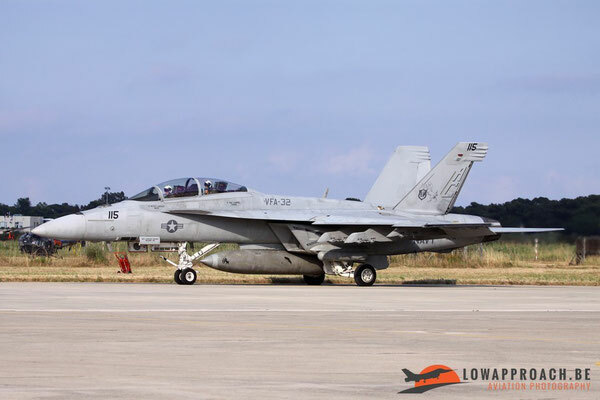 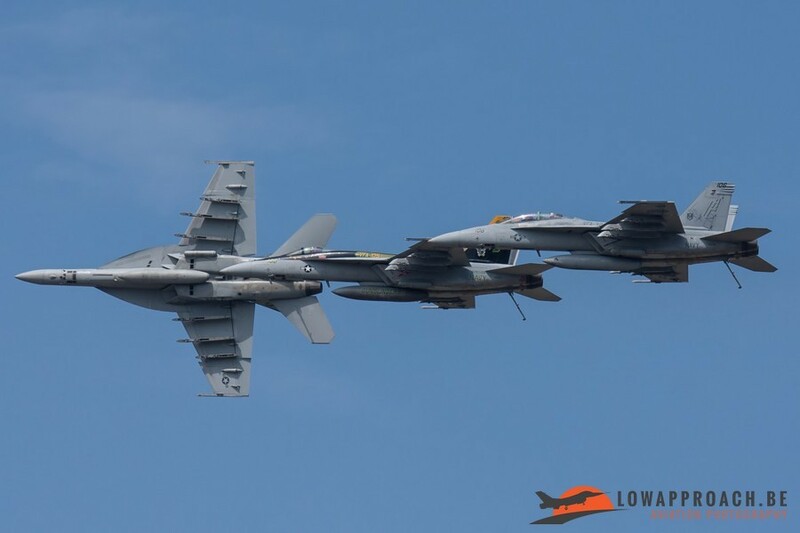 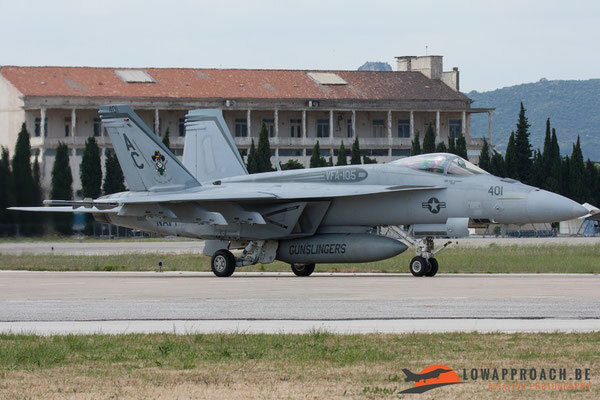 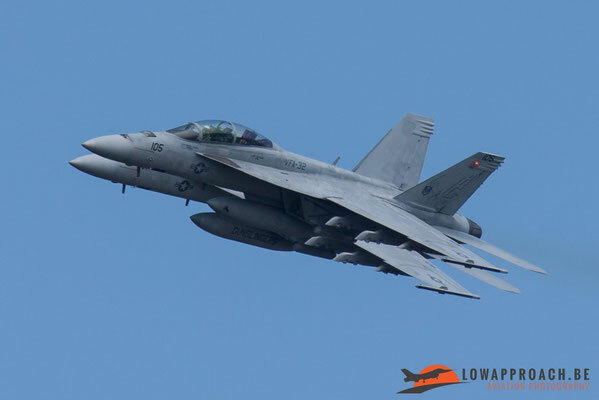 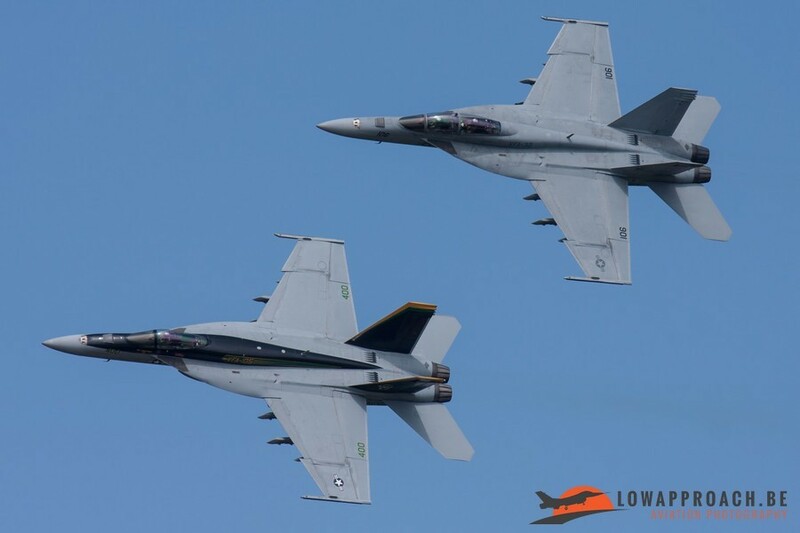 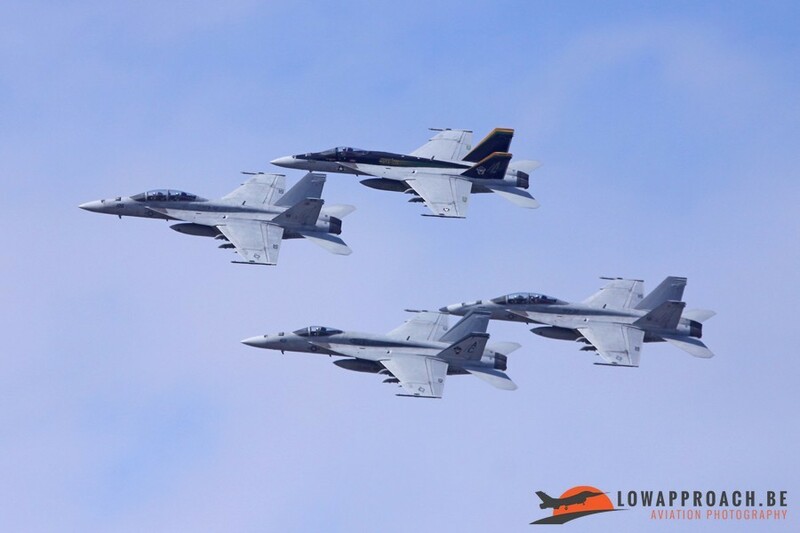 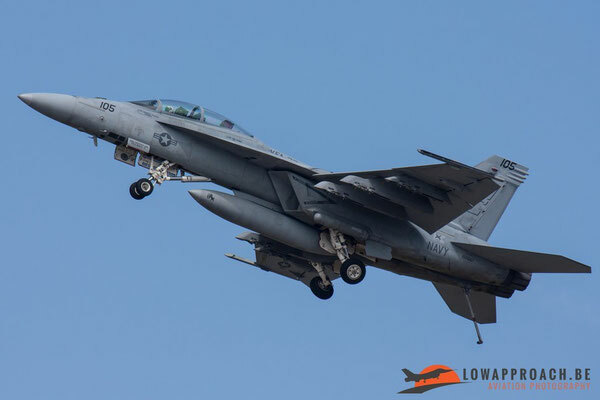 Most numerous aircraft was the Boeing F18E/F Hornet, with five examples present. 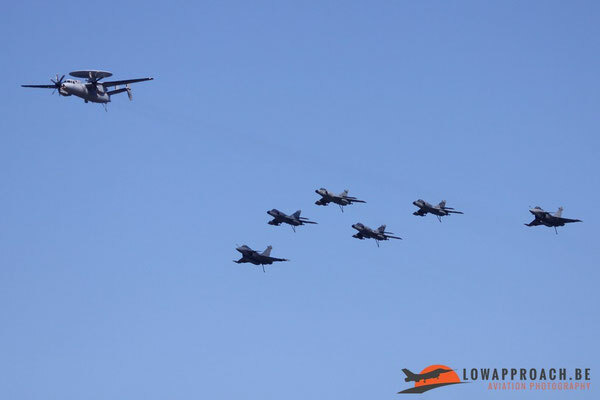 One aircraft remained in the static, but the four others did a formation display, which was quite an impressive sight. 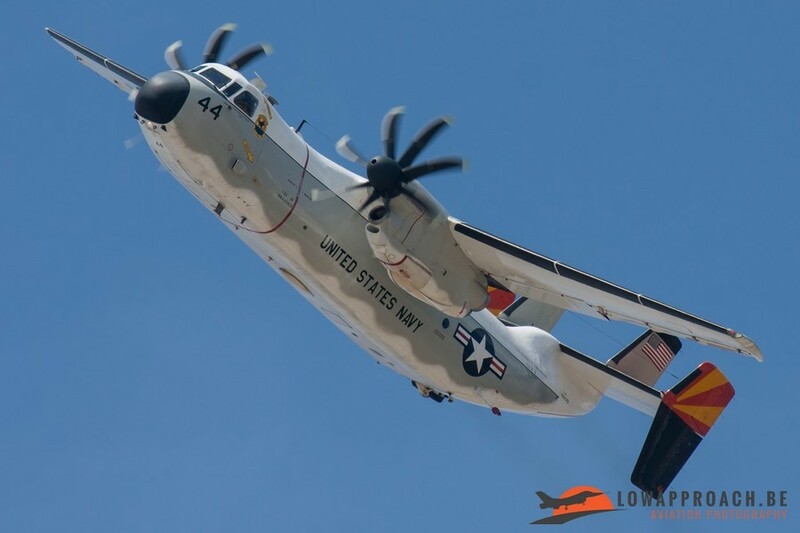 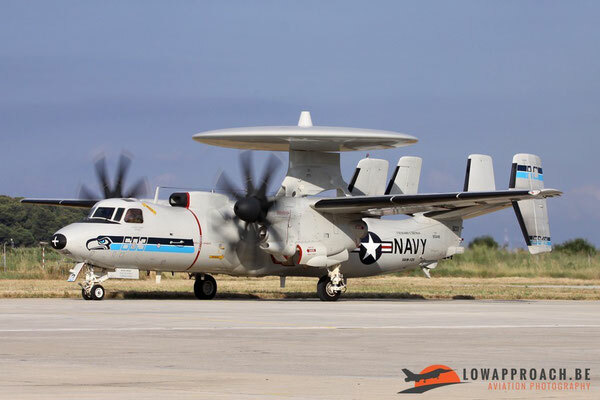 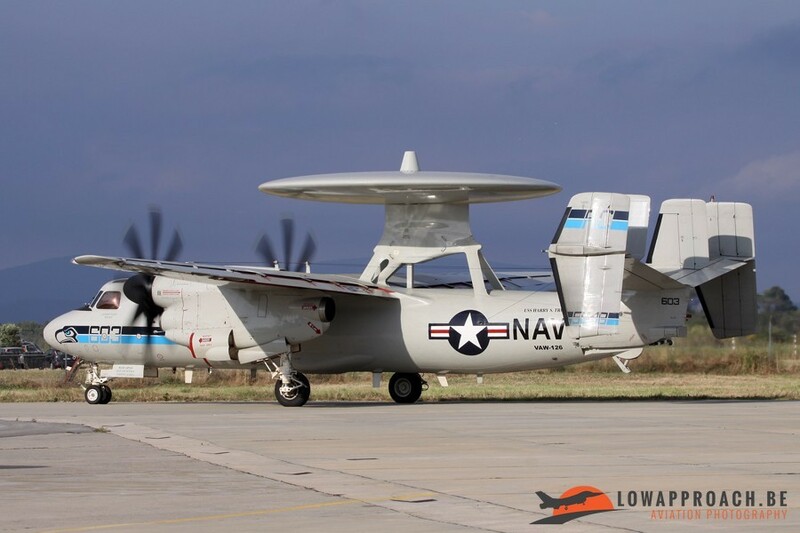 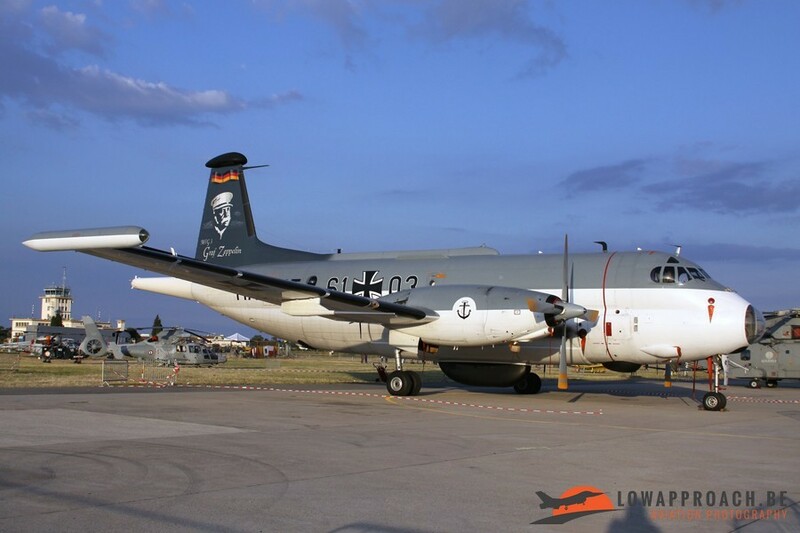 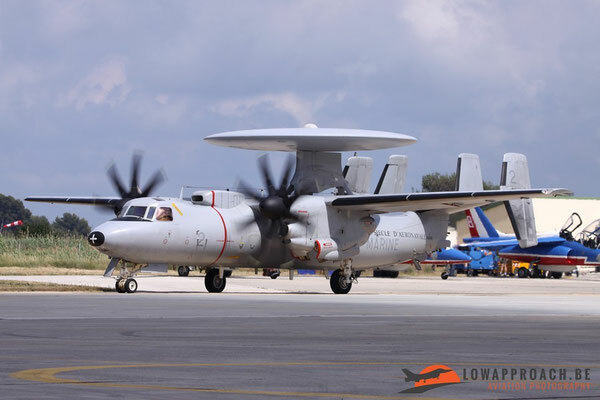 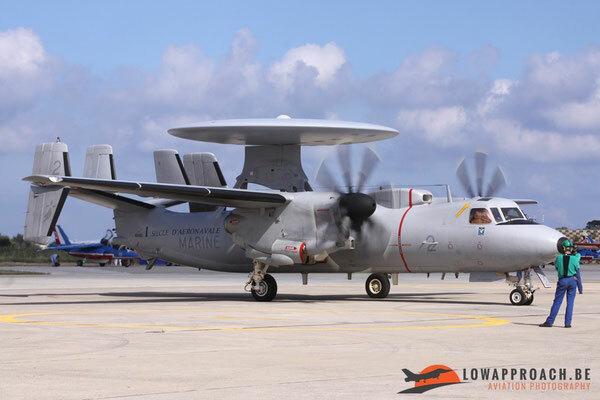 Other US Navy aircraft were the Grumman C2 Greycound, Carrier Onboard Delivery aircraft, a Grumman E2C-2000 Hawkeye AWACS-aircraft and a specially painted Sikorsky SH60F Seahawk and one must say.... the US Navy has a sense of humour ! Other French Defense divisions were also present with various displays. 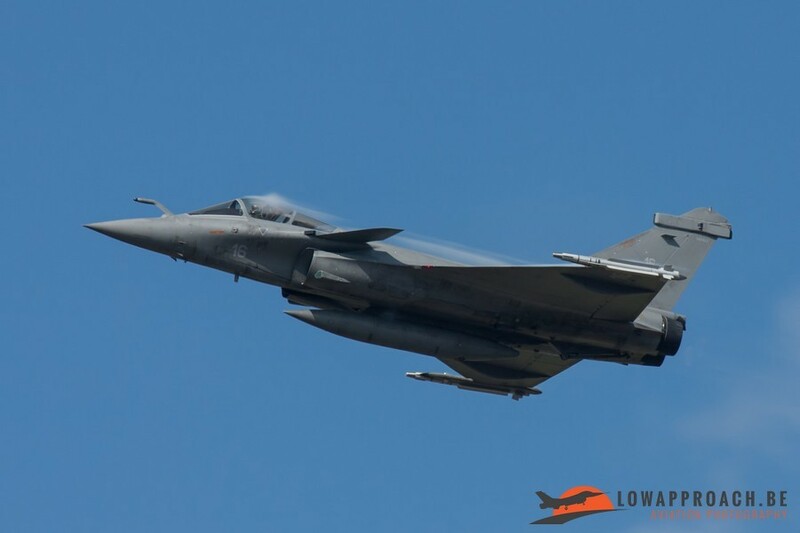 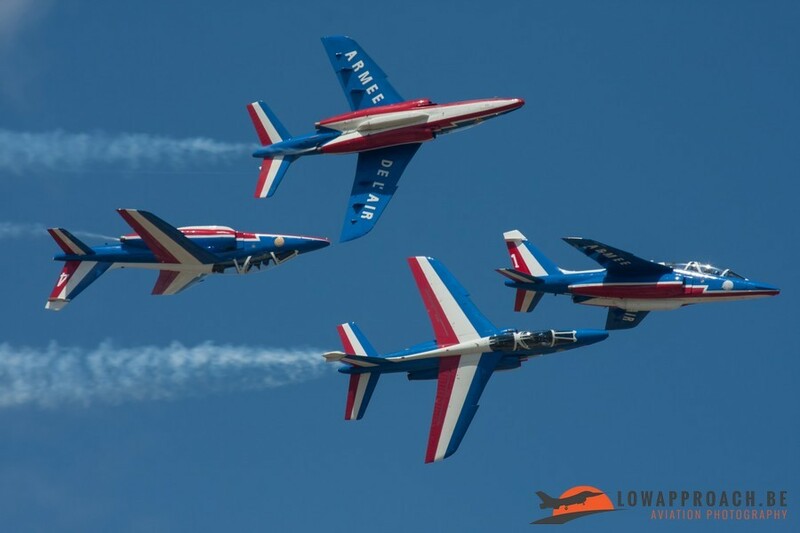 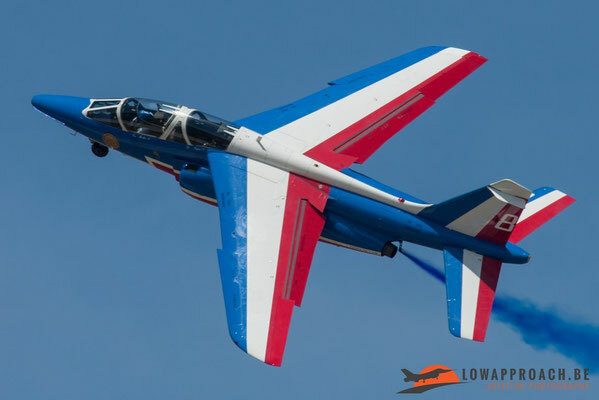 The French Army, Armée de Terre, displayed the Eurocopter Tigre attack helicopter and the French Air Force, Armée de l'Air, participated with the Dassault Rafale C Solo display and off course the national aerobatic team, the Patrouille de France. 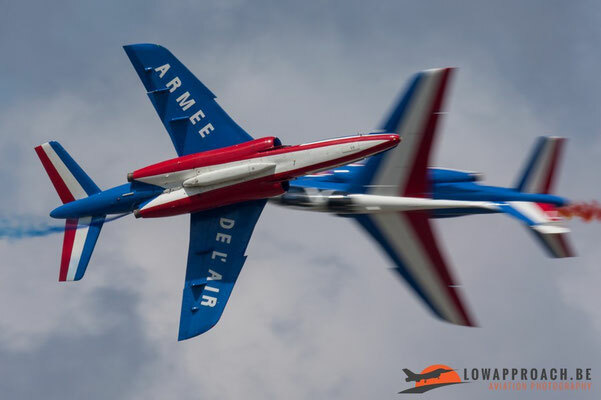 The show ended around 5 pm in the afternoon, but many spectators had already left after the display of the Patrouille de France, which resulted in a massive traffic jam around the base, which has a nice side effect for the 'die hard' spotters who had remained until the last minute. 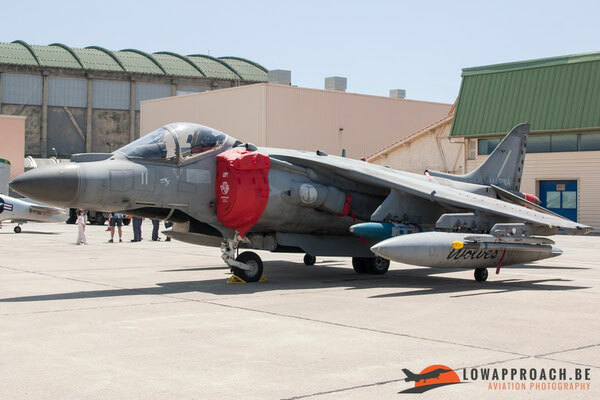 We were allowed to stay on base much later and could therefore witness the cleaning up of the static area, all aircraft were repositioned onto the flightlines or departed to their respective carriers, which resulted in some very nice photo opportunities. 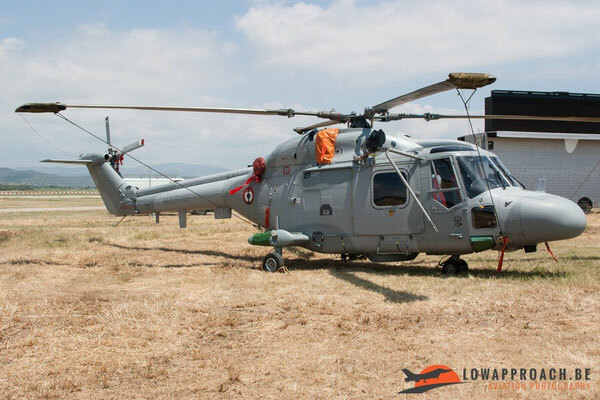 Here I managed to get some good shots of the Dassault-Breguet Br1150 SIGINT Atlantic from the German Marineflieger and a brand-new Agusta-Westland EH101 Merlin from the Italian Navy. 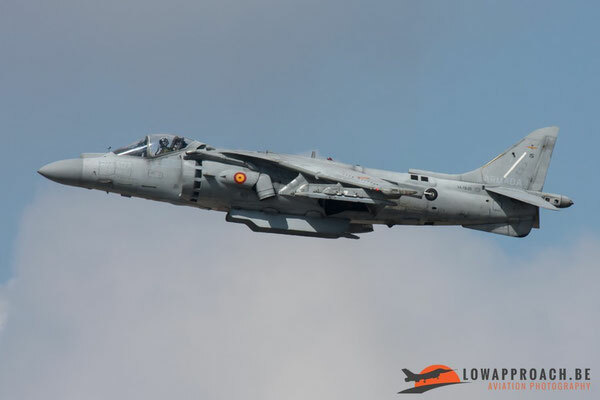 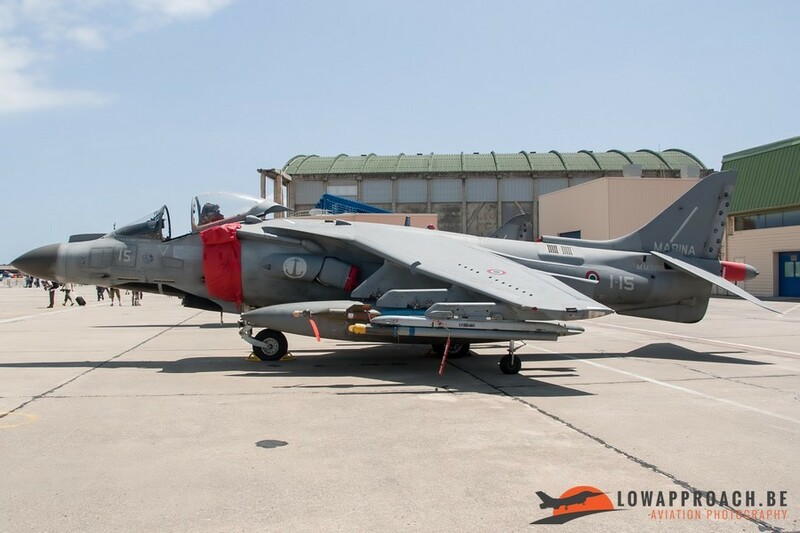 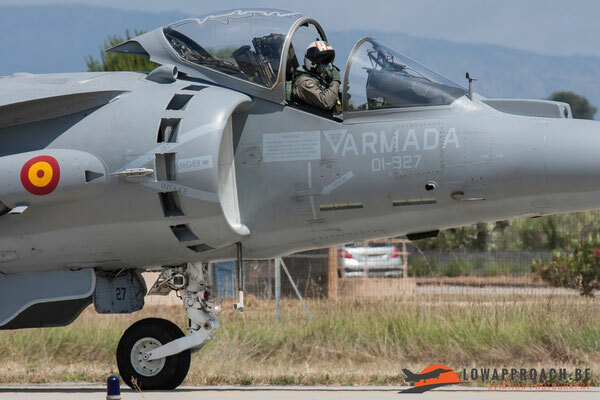 After the departure of the Spanish Navy Harriers, we were treated to a very nice 'cherry on the cake'. 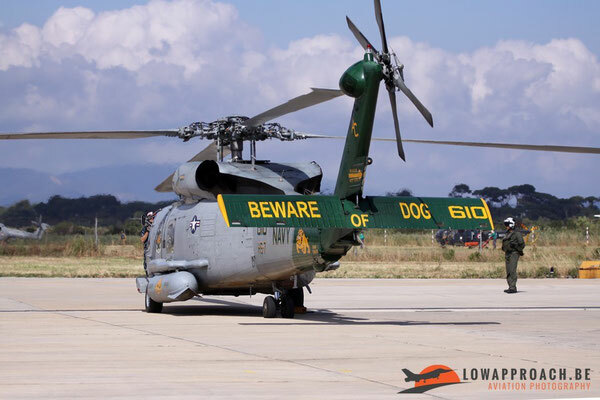 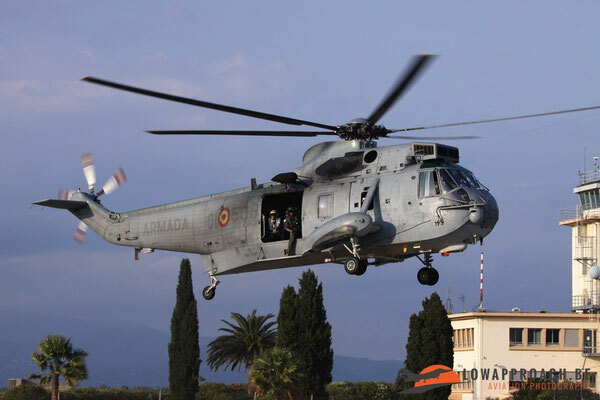 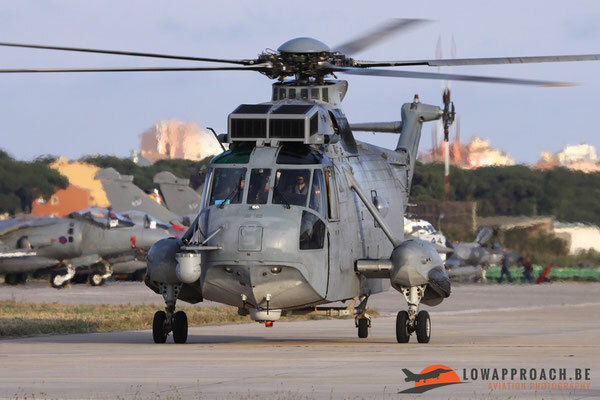 The Spanish ground-crew were picked up by a Sikorsky SH3H Sea King from the Principe de Asturias, and the crew was so to position the helicopter in all possible pictures.... an extraordinary end of the day. 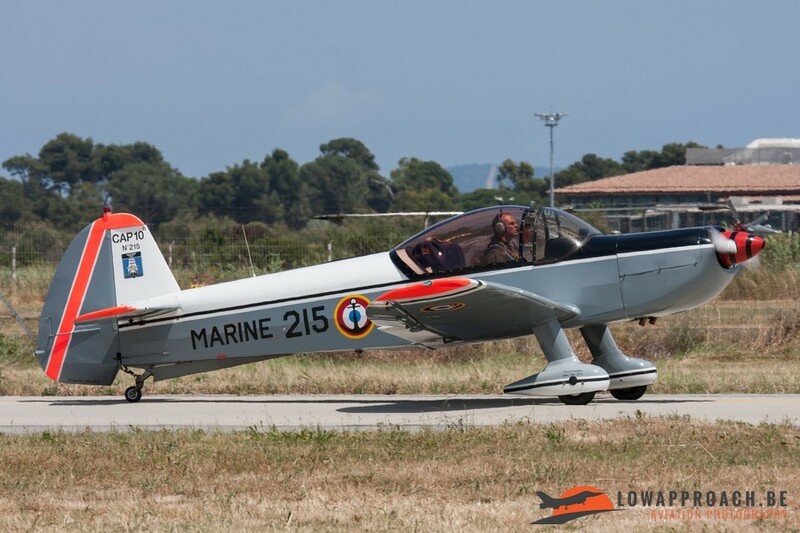 This event at Hyères was for many the best airshow we attended so far. The quality of the participating aircraft was phenomenal, never one could see many naval aircraft at an European event. 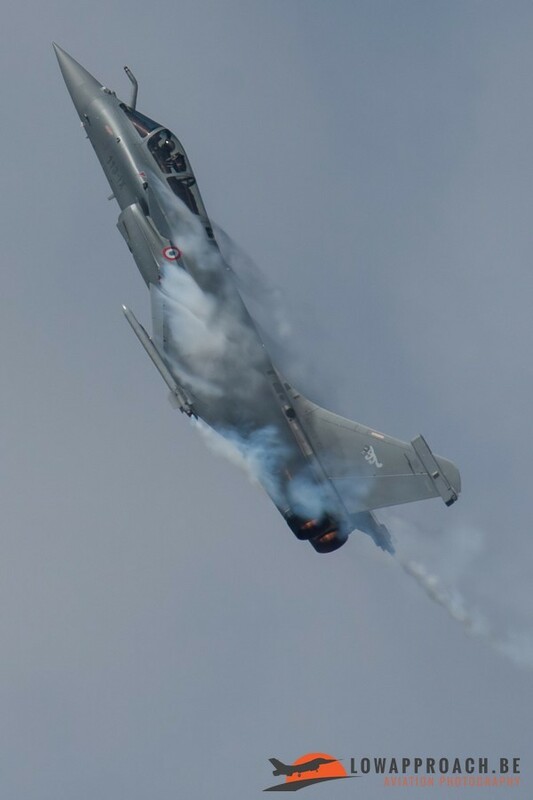 The photo opportunities were equally fantastic and very hard to beat I think, and this off course helped by some great weather. 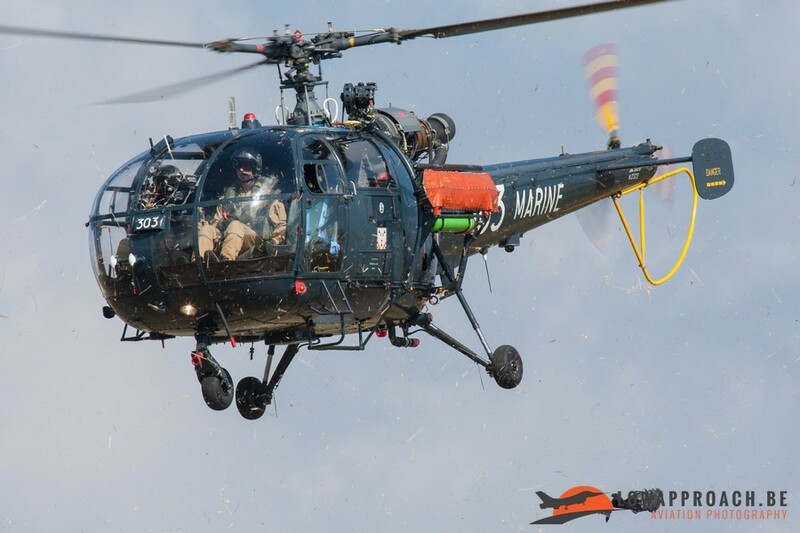 Hopefully the French Navy will stage a similar event in the not so far future.